Bangkok is one of the frequented tourist destinations in South East Asia. The city is a thriving hub for both business and leisure travel. 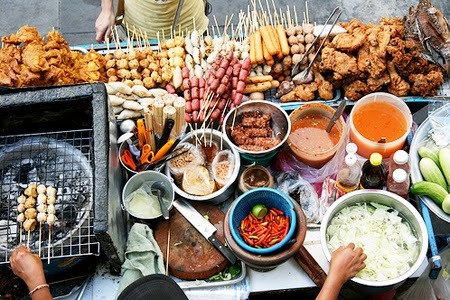 While many travelers throng its lanes, most make it a point to grab the best of its street food. Only a few competitors can beat this flourishing city when it comes to its forte-the Street Food in diversity and excellence! Read down to know where you can find spicy noodles, shimmering rice porridge, scrumptious pork legs, and jewel -like sweets and more. Oyster omelets may sound a little funny to some people but for Bangkokians it is a delight. Visit Nai Mong for the most delicious, out of the world street treats. You will find an array of mussel or oyster, with either soft or crispy dough. However, we recommend you to try the extra-crunchy oyster for a delectable experience. Ask for a bowl of noodles topped with barbecued pork and hard-boiled egg for that yummy savoring. Over the years, this place has become so popular that the regulars and even first-timers do not mind waiting for their grabs for hours together. The dry-noodles (bamee hang), adorned with slivered, lightened greens, grilled pork and a hard-boiled egg along with the minced pork broth is a hit with the customers. A city where soupy noodles, and rice dishes are found in abundance, Samosa is a good pick. 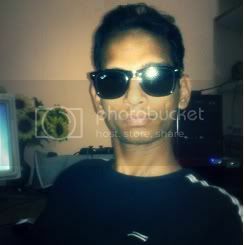 After all, it provides that much needed relief to the one who want to try something exceptional. Samosa is an Indian snack that offers a quick glance into the spicy flavors of the country. 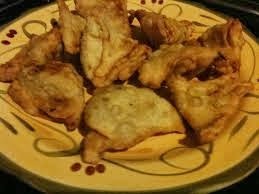 Samosa is a deep-fried dough triangle usually stuffed with boiled potatoes, chickpea, and other spices. It is usually complemented by the tangy tamarind sauce. You can pack a few samosas and take them home. They will taste as good if no better the next day. 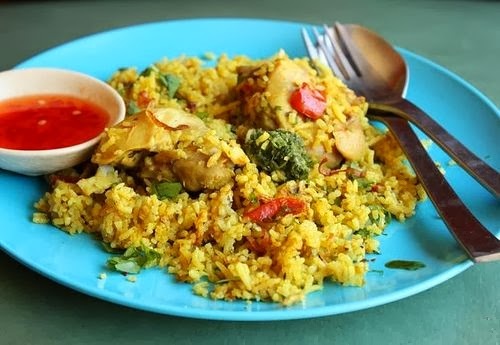 Another really good treat for your taste buds is the chicken biryani most commonly referred to as Thai-Muslim yellow chicken rice. The biryani provides a flavorsome break from the noodles and other authentic Thai recipes. 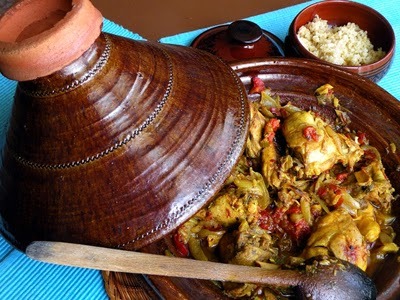 Savor the biryani and capture the taste of Islam spices (krung tet Islam)at lunchtime. Accentuate your experience along with a portion of zesty chicken soup. If you have a sweet tooth then this is the place, which will fulfill your sweet desires. There is an assortment to choose from and sometimes leaves you totally perplexed as to what to pick. From a range of delicious dumplings, jellies and fruits in coconut milk or ginger syrup, topped by a heap of shaved ice beacons the one who make up their mind quickly. There is nothing better to end your food fiesta with a serving here! This article is contributed by Dawn Richardd and posted by Rizwan Ahmad Author and founder of myfoodforu blog He is a blogger from India and he loves to share his thoughts by writing articles on the different topics related to Food, Travel etc.